Hello fellow traders, In this blog I want to share with you a trade in Amazon stock which we took in our Live Trading Room from Group 3. In Group 3 we cover stocks and ETFs. Now, let us have a look at some past charts of the stock Amazon and the respectable entry in that stock. We mentioned to members that Amazon could have ended the cycle from March 2016. And we knew that Amazon is doing a double correction in 3-7-11 swings. We said to members that this could be another good opportunity to enter the stock for a midterm trade. Therefore, we presented it in our Live Trading Room. You can read our blog of why world stock index has much more upside. Consequently, we said to members that the right side still remains to the upside in Amazon as well as. In the chart below you can see our 1-hour chart of Amazon presented to members on the 02.09.2018. 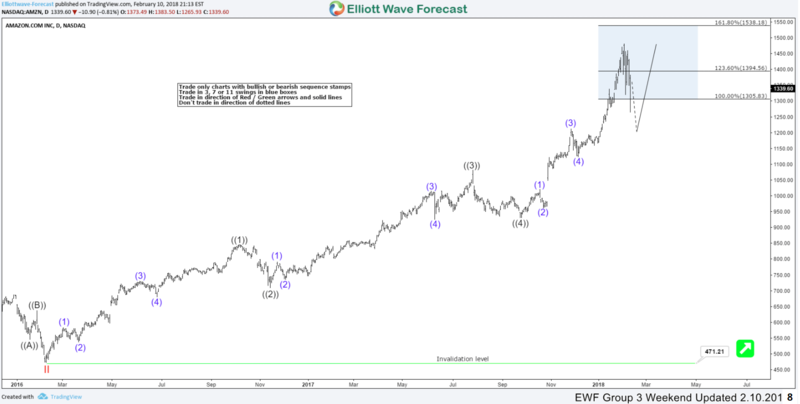 You can clearly see that Amazon was correcting the cycle which has been labeled as black wave ((W))-((X))-((Y)), targeting the areas of 1283.79-1241.90. Where we said to members that the correction can end in that area. Therefore, we presented it in our Live Trading Room as a possible trade. 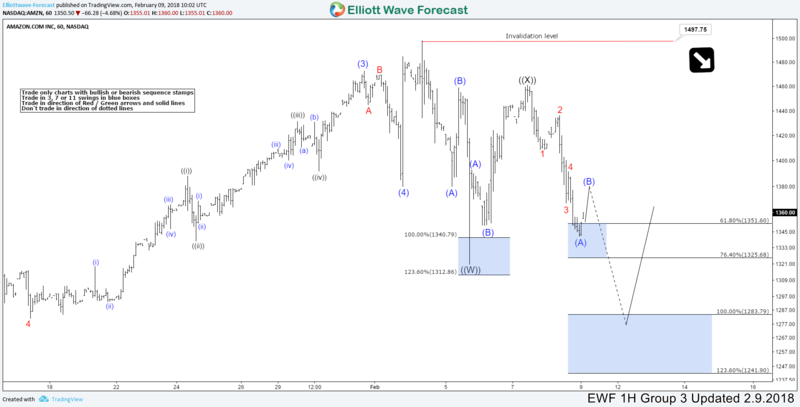 We wanted to buy Amazon in that blue box with an entry of 1283 for 3 waves bounce at least. 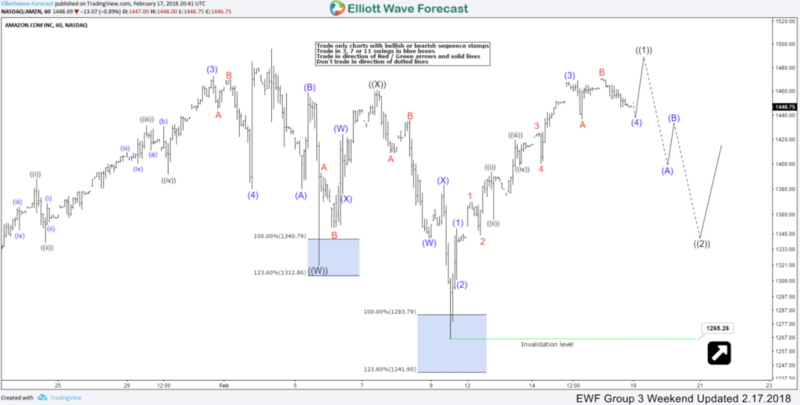 In the second image, you can see our trading journal with the Amazon trade. As you can see we have a lot of good stocks and ETFs positions but I removed them to protect our client’s privileges.